It was exactly 10 years ago on Wednesday that Martti Ahtisaari was awarded the Nobel Peace Prize. The commemoration was held under the theme ‘Peace mediation makes sense’, which discussed Ahtisaari’s legacy. Addressing the gathering, Federica Mogherini observed that the ideas of the CMI founder are an inspiration to the EU as a peace project. 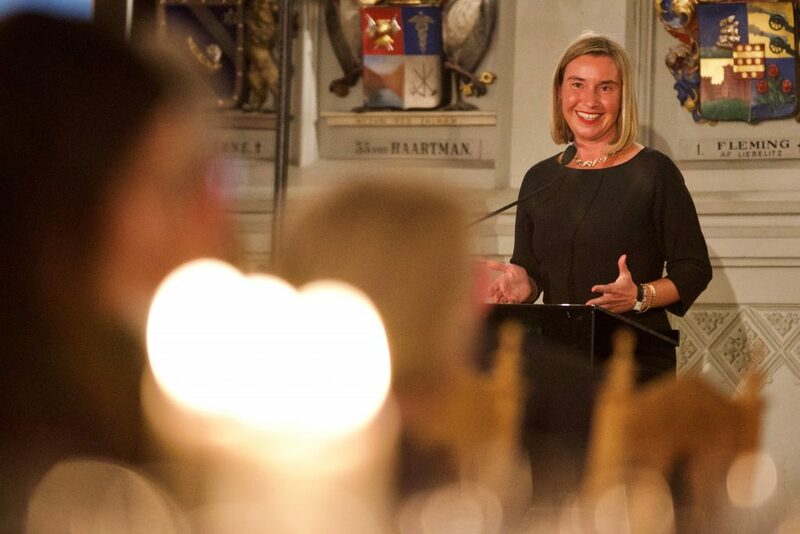 The EU’s High Representative for Foreign Affairs and Security Policy Federica Mogherini was quoting President Martti Ahtisaari in her speech in Helsinki on Wednesday, in which she described his legacy in peace mediation. Mogherini said that as a peace project, the European Union followed in Ahtisaari’s footsteps. 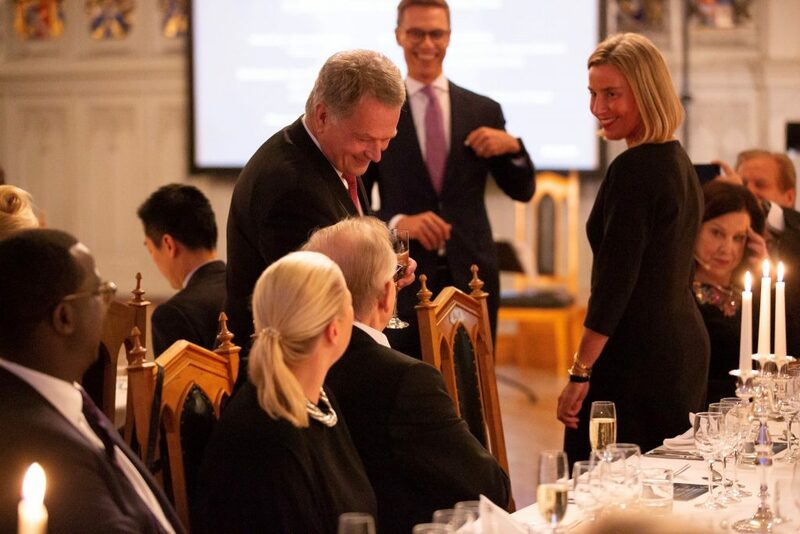 Mogherini was one of the speakers at the ‘Peace mediation makes sense’ event that CMI held to commemorate Ahtisaari’s Nobel Peace Prize. It marked exactly 10 years since Ahtisaari was awarded the prize. The event was also the culmination of CMI’s fundraising campaign for making space for women at peace tables. 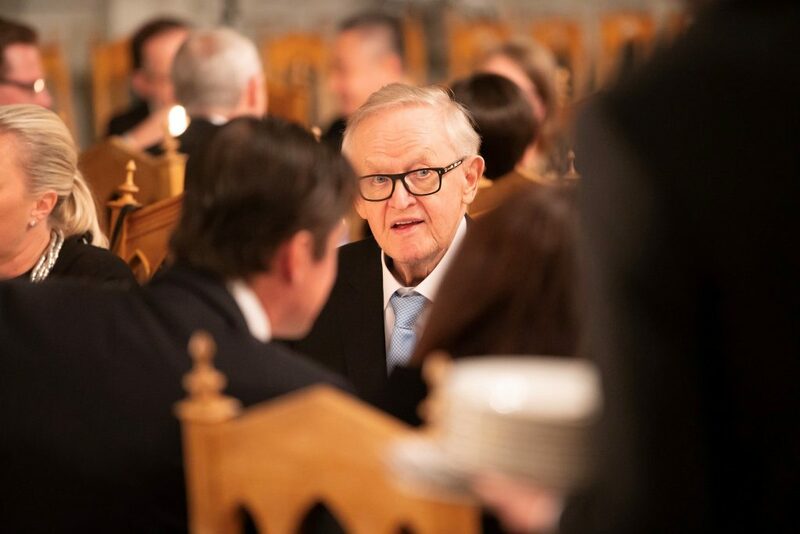 Ahtisaari’s Nobel award gave abundant international attention to peace mediation and made it a respectable instrument of foreign policy. During the past decade, peace mediation has increasingly been recognised as an effective and inexpensive way of addressing conflicts and their root causes. The Nobel prize gave Finland credibility in the international arena and raised national self-esteem. “Because of Ahtisaari, each one of us is proud to be a Finn”, said Finnish President Sauli Niinistö at the gathering. Martti Ahtisaari said that he never thought a Nordic would win the Nobel Peace Prize. Mogherini said that Ahtisaari’s ideas and teachings have inspired European states to build bridges not only between one another but also beyond their own borders. Mogherini stressed that the firm values of Ahtisaari’s work, based upholding justice, for instance, have acted and act as an example to the EU in peace building. She also said that Ahtisaari’s stubbornness in negotiations is an important compass for Europe. Mogherini referred to the Aceh and Namibian peace processes as concrete examples of Ahtisaari’s legacy. In Aceh, Indonesia, over a decade ago the EU supported the peace talks mediated by Ahtisaari and helped the province in its post-conflict and post-tsunami reconstruction. Mogherini pointed out that Aceh was the first time when the EU used its peace making ability at full abroad. She also described how Namibia’s independence in 1990 inspired the overall peaceful course taken in southern Africa. Namibia’s peace process reflects the importance of regional cooperation in building peace, Mogherini emphasised. Kai Sauer, Finland’s Ambassador to the UN, said that Ahtisaari’s legacy is also reflected in the esteem CMI enjoys. Sauer stressed how CMI can, as an independent organisation, build trust between parties to a conflict, when they do not wish to bring their differences to international arenas and the glare of publicity. There is a need for building trust, especially in the current strained international context. “In ten years CMI has grown into a fine brand in this field”, said Sauer. President of the Republic of Finland Sauli Niinistö said that Finns are proud to Finns because of Ahtisaari’s work. Rauli Virtanen, journalist and friend of Ahtisaari, described the memorable day in question 10 years back. He said that was convinced that Ahtisaari would still get the Nobel at some point. The day before the award he had called the President and asked about his plans. “I asked him what he planned to do tomorrow. He answered, Nothing. I asked if he would mind if I came to his place with a cameraman and watch TV to see who would get the peace prize. He said, Fine, you’re welcome”, Virtanen recalled laughing. Later the same day, Virtanen got a call from a Norwegian colleague who said it was a certainty that Ahtisaari would get the prize. The next day, the two of them waited for the critical moment. The clock was ticking. Finally Ahtisaari’s phone rang.